“PANSA’s motto for this year’s WAC edition was: Gateway to Europe, gateway to the East. The most famous ATM congress event – WAC – this year, as usual, took place in Madrid (Spain). WAC combines conference style debates between the most influential representatives of Air Navigation Service Providers (ANSPs), product developers, experts, operational stakeholders and international ATM exhibition where their solutions for the current and upcoming challenges in the Air Traffic Management are demonstrated. This year’s, 7th edition took place on 21,000 square metre venue with almost 240 display stands from over 130 countries. PANSA representatives have been attending every WAC before, but this year we have been one of the exhibitors in Madrid for the first time. From 12th until 14th March PANSA moderated discussions about Central and Eastern Europe role within the ATM as well as the challenges and opportunities for the unmanned aircrafts use. What is more, in-house designed ATM systems were presented during the event, covering PANSA’s R&D projects such as PANSA UTM, PANDORA and CAT. Please visit PANSA NEWS and our Social Media as well to check our past activities during the World ATM Congerss 2019 step by step! The most famous ATM congress event – WAC – this year, as usual, will take place in Madrid (Spain). This year’s, 7th edition will take place on 21,000 square metre venue with almost 240 display stands from over 130 countries. PANSA representatives have been attending every WAC for the last seven years… but this time PANSA will be one of the exhibitors in Madrid. From 12th until 14th March PANSA will moderate discussions about Central and Eastern Europe role within the ATM as well as the challenges and opportunities for the unmanned aircrafts use. What is more, in-house designed ATM systems will be presented during the event and will cover PANSA’s own R&D projects such as PANSA UTM, PANDORA and CAT. Visit our stand #239 (in the main hall). Every day Polish Air Navigation Services Agency ensures safety of passengers in more than 2,500 flights over Poland. We have one of the biggest airspace in Europe: over 334,000 km2. Almost a million overflights, approaches, take-offs and landings in 2018 were supervised by more than 570 air traffic controllers employed in Polish Air Navigation Services Agency, as well as almost 240,000 General Aviation flights under watch of the Flight Information Service (FIS). Our air traffic controllers are supported by advanced technology. Over 200 devices located throughout Poland guaranteeing safety of air traffic within the Polish airspace: air-ground communication systems, RNAV systems, ILS – DME systems supporting smooth and precise landing in low visibility, radars. We are responsible for advanced aviation infrastructure – we build and develop it. Together with ORO NAVIGACIJA, PANSA joined the Functional Airspace Block – Baltic FAB. In alliance with most experienced ANSPs we invest in air traffic management technology. Baltic FAB together with NATS, DFS and other European leading ANSPs, migrates the air traffic management system into iTEC. PANSA UTM tool for coordination and integration of unmanned and controlled air traffic. Polish Air Navigation Services Agency is also the only institution in Poland training and employing civil air traffic controllers (so-called ATCOs). We also provide Flight Inspection Services for monitoring the proper operation of ground-based navigation aids from the air. We offer validation of conventional and satellite based flight procedures. Every day there are almost half a million passengers on board of all planes flying over Poland. In the Air Traffic Management Centre of Polish Air Navigation Services Agency, as well as in 15 airports throughout Poland the air traffic controllers take care of their safe journey. We are a part of aviation world which grows dynamically, and we grow together with it. Due to specific geographical location of Poland in Europe, PANSA in cooperation with domestic and European institutions will become a bridge between Europe and the East in the services provision. We are a gateway to Europe and gateway to the East. Safety in the air. It is our mission and duty. Polish Air Navigation Services Agency. Check our Products and Services. Visit wac2019pansa.pl/business for detailed information. Every day Polish Air Navigation Services Agency ensures safety of passengers in more than 2,500 flights over Poland. We have one of the biggest airspace in Europe: over 334,000 km2. Almost 900,000 overflights, approaches, take-offs and landings in 2018 were supervised by more than 570 air traffic controllers employed in Polish Air Navigation Services Agency, as well as almost 240,000 General Aviation flights under watch of the Flight Information Service (FIS). We are a part of aviation world which grows dynamically, and we grow together with it. Due to specific geographical location of Poland in Europe, PANSA in cooperation with domestic and European institutions will become a bridge between Eastern and Western Europe in the services provision. Thank you for visiting PANSA stand #239 during the World ATM Congress 2019! PANSA’s experts will discuss procedures and demonstrate technology that supports implementation of the advanced flexible use of airspace in Poland. PANSA’s experts will discuss procedures and demonstrate technology that supports implementation of the advanced flexible use of airspace in Poland. AFUA applies to both controlled and uncontrolled environment, including Free Route Airspace. And is beneficial for all users. Next generation developments in the airspace management area aim to integrate and automate ASM/ATFCM processes into one. This is why DAC (Dynamic Airspace Configuration) developed Therefore, the presentation will include demonstration of a system prototype which is a part of SESAR 2020 PJ 08 Solution. The panel will be moderated by PANSA’s experts, involved in design and development of the ATM implementation programs, including SESAR projects. Airports and aerodromes play a key role in ATC operations. Airports and aerodromes play a key role in ATC operations. For most travellers they represent the face of air traffic control. It is where everything starts and ends. ATC operations in towers produce and hold a vast amount of flight information to ensure its operations: flight plan information, tactical information is generated including departure routes, gate allocations, taxi routes, estimated start-up time, target take-off time, predicted arrival time and gate, etc. Defining a single and governed tower flight data exchange mechanism is a necessary step but it needs to be supported by an enabling infrastructure able to facilitate the data sharing between stakeholders of various kind. In 2019 PANSA for the first time in the history of World ATM Congress will become an exhibitor. Therefore, it is of utmost importance for us to welcome many distinguished guests during the grand opening. During the official ceremony an Acting President of PANSA Janusz Janiszewski will be joined by Henrik Hololei (Director-General for Mobility and Transport, European Commission), Mikołaj Wild (Secretary of State, Ministry of Infrastructure, Government Plenipotentiary for the Central Transport Hub) and Marzenna Adamczyk (Ambassador of the Republic of Poland to the Kingdom of Spain). The airspace between the Baltic Sea and the Black Sea is one of the most important gateways of the European continent. The airspace between the Baltic Sea and the Black Sea is one of the most important gateways of the European continent. This region handles air traffic in the North – South, East – West directions. The European Union border countries link the EU with the continent of Asia and the region of the Middle East. They handle out-of-area traffic, military traffic from non-EU/NATO countries, including those over Baltic High Seas; they also deal with the high traffic volatility due to greater vulnerability to the external political conflicts. EUROCONTROL forecasts show that traffic in Central and Eastern part of Europe will grow significantly faster than in other parts of the region. At the same time, high traffic density, distinctive for today’s “core area”, may be spreading in all directions, including the EU bordering countries. Therefore, the aim of the debate is to focus on the increasing role of the Central and Eastern European countries in the future ATM developments and to discuss how they can contribute to the European network efficiency. The main objective of this panel is to show the path towards U-Space in Poland and solutions for the safe integration of drones. The main objective of this panel is to demonstrate the Unmanned Traffic System – PANSA UTM which supports planning and conducting of the UAV flights. The panel will also present the role of the system in advanced airspace management including Flexible Use of Airspace in the class G, as well as the solutions for the U-space concept development and Central European Drone Demonstrator (CEDD) project. 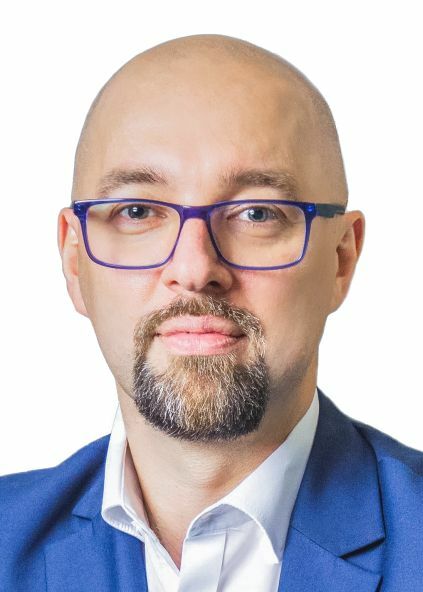 Mr. Janusz Janiszewski (PANSA CEO) and Mr. Piotr Samson (President of the CAA of Poland) will inaugurate the panel during which experts from the Civil Aviation Authority of Poland, Ministry of Infrastructure and PANSA will give presentations on the subject. An amazing time filled with specialities of Polish cuisine and exquisite entertainment accompanied by live music. The presentation will be followed by with the signing of the Memorandum of Understanding between PANSA and INDRA. Being a research and development centre supporting the preparation of solutions for the future, NaviHub strives to become a think tank and a network of laboratories providing their capabilities for creating innovative solutions. Under a common name we want to pool various entities, their unique know-how and experience required in research and development projects. The core of our idea is a well-balanced mix of elements that allows to achieve more. We firmly believe that this approach creates the value and quality of innovation. The A6 Alliance was established in 2011 to coordinate R&D and investment activities of the key ANSPs under the SESAR Programme. 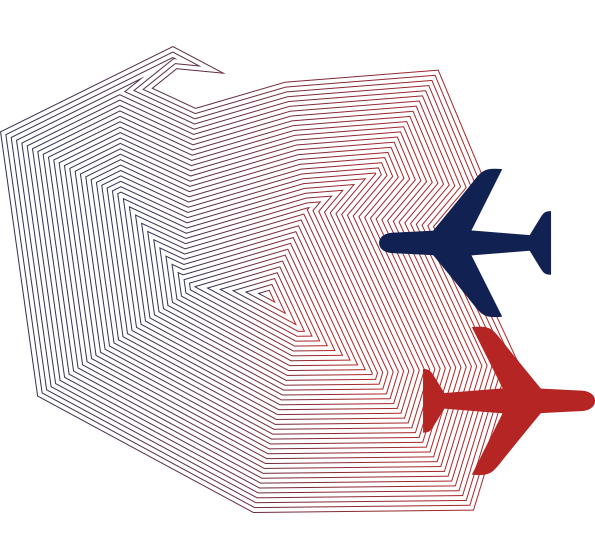 The A6 Alliance was established in 2011 to coordinate R&D and investment activities of the key ANSPs under the SESAR Programme. It is focused on SESAR development and deployment, SESAR deployment execution and key strategic areas of A6 common interest related to transport and aviation legislation. The group was founded by six ANSP members of the SESAR Joint Undertaking: German DFS, French DSNA, Spanish ENAIRE, Italian ENAV, British NATS and NORACON – a consortium of ANSPS from Austria, Norway, Estonia, Finland, Ireland, Sweden and Denmark. Polish Air Navigation Services Agency became a full member of the A6 Alliance in 2015, together with the international partnership of ANSPs called COOPANS. 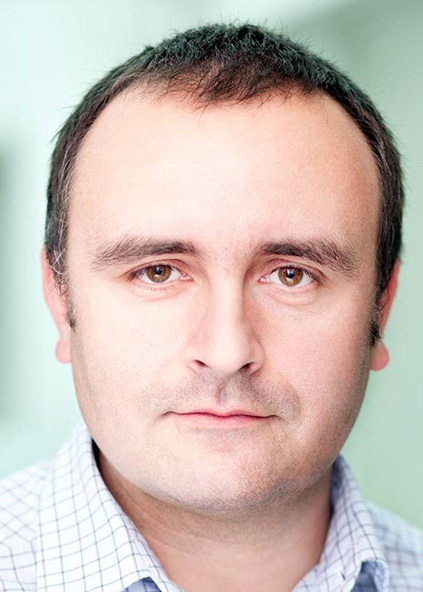 This year PANSA Representative Mr Maciej Rodak acts as Chairman of the A6 Strategy Board. SESAR Walking Tours - Runway safety „Runway Condition Code Prediction Engine"
Runway Condition Code Prediction Engine. Runway Condition Code Prediction Engine. The project validation under the SESAR solution PJ.03b-06 resulted in the development of a feasible solution that supports airports as well as ATS services with reliable information on the Runway Condition Code prediction. The validation conducted in the Gdansk and Warsaw airports had positive results and the evidence is supporting a perspective of the project further development and deployment. The exhibition will demonstrate the tool that supports mitigation of risks of runway excursions (either during take-off or landing) through the implementation of RCAMS Runway Condition Code Prediction Engine – an advanced mathematical model with machine learning elements developed jointly by PANSA & University of Warsaw under the SESAR 2020 PJ.03b-06 project. The exhibition will show how the enhanced awareness of runway conditions (both current and forecasted) are expected to increase airport resilience to weather events along with improvement of safety in aircraft operations. During the World ATM Congress, SESAR (SESAR Joint Undertaking and SESAR Deployment Manager) will, for the second year in a row, organize „SESAR walking tours”. The idea behind the SESAR walking tours is to showcase completed or on-going projects, both covering research and development as well as deployment area of SESAR Programme. Just like at the World ATM Congress 2018, projects will be showcased with a significant engagement of partners involved in SESAR: this is the operational stakeholders (ANSPs, Airspace Users, Airport Operators) and industry who will present their progress and achievements in the SESAR domain. Visitors of the walking tours will have a unique opportunity to meet with experts from the SESAR community and see first-hand the wide variety of solutions that have been or are being developed and deployed across Europe. At the last edition in 2018, over 450 guests attended the walking tours, giving those who took part in the tours quite a huge visibility and extra publicity. As concerns the SESAR walking tours 2019, submissions already received from SESAR partners have been grouped content-wise into several clusters. All three projects submitted by PANSA to the walking tours have been accepted by SESAR. Thanks to it, during WAC 2019 on PANSA stand all the neccessary information regarding issues mentioned above will be provided. Local ASM tool as a part of Dynamic Airspace Configuration (DAC) proces. Local ASM tool as a part of Dynamic Airspace Configuration (DAC) proces. The project consists in the development of DAC tools functionalities in the Common Airspace Tool by PANSA (CAT), including definition and management of DMA type 1 and type 2 at sub-regional and regional levels. The exhibition will present technical feasibility of the DAC tools functionalities developed within the Common Airspace Tool by PANSA. Module of the local ASM supporting system is dedicated to support both pre-tactical and tactical levels of ASM. It supports CDM process between WOC and local DAC (ASM and ATFCM functions) regarding DMA allocation. System collects users requests for DMAs, then based on historical GAT flows and planned ACC sectorisation, helps the user to take the decision regarding the DMAs location to minimize impact on civil traffic and ACC sectors capacity. A close cooperation between bordering states of Poland and Lithuania resulted in launching the Baltic FAB initiative. During the Baltic FAB cocktail reception you will be able to spend some pleasant time enjoying delicious regional food and listening to the smooth music. Implementation of Data-link services for the ATM in Warszawa FIR. The project main goal was implementation of Data Link Services above FL285 in Warszawa FIR as required by EU Data Link Services Implementing Rule. The project also allowed extension of VDL Mode 2 coverage area in Warszawa FIR and installation of new ground stations supporting multi-frequency data link operation. All planned activities were completed on time. PANSA current air-ground data link capability is an essential prerequisite for future “Baseline 2” applications and particularly for future services like 4D-trajectory based operations. PANSA experience after implementation of data link services, including cooperation with airlines and identified challenges for future implementation of Initial Trajectory Information Sharing. CAT is an Airspace Management System developed by PANSA. In order to support the increasing demand for accurate and efficient management of the common airspace, shared by many different users, at the end of 2018 an upgraded and improved version of CAT tool has been implemented. CAT provides all necessary information about current and planned airspace structures reservations. It also supports airspace management, both in the Free Route Airspace and the ATS route network. System is widely used by air navigation operations personnel including Airspace Management Cell and by the Polish Air Force. The system contributes to the Aeronautical Information Management services solution aspects, providing support to an effective air navigation service provision. Crucial for that process is the real-time data flow between all subjects involved, including the collaborative decision-making process between civil and military partners. CAT automatically exchanges airspace data B2B both with Network Manager and other systems. The new version also brought to life a friendly, common web interface, dedicated to every user. PANSA is working on the next version of the system as well, which will be introduced in the near future as a part of SESAR 2020 solutions. An upgrade will include, among others, the functionalities supporting collaborative decision making process between airspace management and flow and capacity actors, as well as radar data visualization. The efficient integration of manned and unmanned air operations will be possible only with the proper traffic management system. PANSA is understanding and supporting the growing sector of the unmanned air traffic in Poland, by responding to its needs and demands. The safe and efficient integration of drones with general and operational air traffic, as well as other airspace users, is one of the strategic objectives of Agency. Therefore, PANSA creates a friendly environment for UAV sector development. A part of it was enabling the Central-European Drone Demonstrator (CEDD) project, which gives the opportunity to perform controlled testing, in urban area, a new unmanned technologies and services, which would eventually support deployment of the U-space concept In Poland. The efficient integration, both manned and unmanned air operations will be possible only with the proper traffic management system in place. PansaUTM is the concept of unmanned traffic management, which consists of proprietary PANSA operational solutions and software part supplied by technology partners – HAWK-E Droneradar. Its implementation in Warsaw FIR will allow the accommodation of all UAVs operations demands for both in Visual and Beyond Visual Line of Sight. PANSA UTM will be very flexible, to easily adapt to all changes appearing along with the drones’ industry evolution, as well as law regulations. RCAMS was developed by PANSA and Warsaw University in the framework of the SESAR 2020 programme. RCAMS was developed by PANSA and Warsaw University in the framework of the SESAR 2020 programme. It is a support tool that helps airports (and APOCs) as well as ATS services with reliable prediction of the runway condition. The tool is designed to reduce the risks of runway excursions (either during take-off or landing) and supports the implementation of the new ICAO Global Reporting Format. This tool supports prediction of runway condition up to 1 hour in advance. System offers high quality RWYCC prognosis, and is designed to work on aerodromes with various runway layouts. The engine use an advanced mathematical model with machine learning elements to increase the awareness of runway condition between manual inspections. The evidence, supported by extended validations shows that the enhanced awareness of runway conditions (both current and forecasted) is expected to increase airport resilience to weather events along with improvement of safety airport operations. This system offers stable prediction quality and can work with various runways and airport layouts. „(…) Shoot to the skies our emblem! 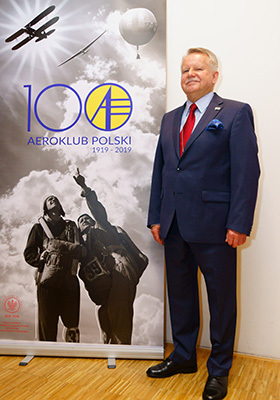 (…)” – this line from „Polish Airmen Anthem” perfectly captures the sense of pride of not only pilots’ achievements but also Polish engineering ideas which gave the foundations for worldwide stunning technical solutions in the field of aviation. 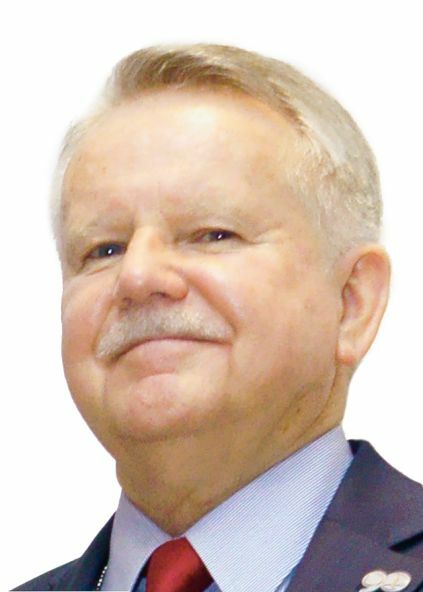 The achievements of Polish pilots in connection with an “engineering mind” of Polish aerospace industry have resulted in global fame and success. Aeroklub Polski (Aero Club of Poland) is the Polish central association of persons practising air sports or recreational flying. The first aviation organization of this type was Aero Club of Poland in Poznań, founded on 30th October 1919 and admitted to the FAI in 1920. Before the World War II, our members took active part in world’s aviation sports. The first major international event was the Challenge 1930, a touring planes contest. Poles enjoyed success in the Challenge 1932 and several times in the Gordon Bennett Cup in ballooning contests. The Aero Club of the Polish Republic organized the Challenge 1934 – international contest and the Gordon Bennett Cup in ballooning in 1934-1936, also successful for the Polish pilots. Jerzy Makula – multi awarded Polish pilot, multiple gold and silver medallist in the FAI World Glider Aerobatic Championships, multiple world champion in teams and individual European champion. For many years captain at PLL LOT. Currently the President of the Aeroklub Polski and Polish FAI Aerobatic Commission delegate. Chairman of the CIVA Glider Aerobatics Sub-Committee. A glider aerobatics trainer and an accredited judge in international glider and power aerobatic championships. 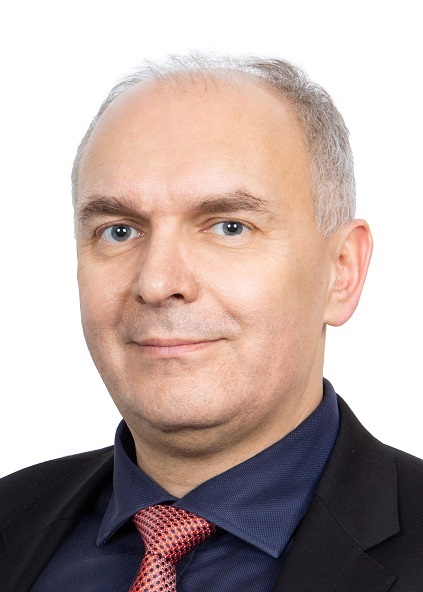 Head of the Single European Sky Unit in the Directorate-General for Mobility and Transport within the European Commission. Formerly managed maritime transport issues, including relations with the International Maritime Organisation, and led a modernisation programme for European maritime safety and pollution prevention rules. 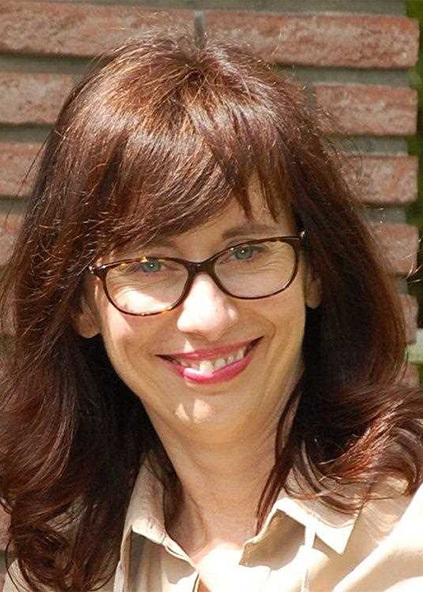 Her previous assignments included, among others, the Copernicus earth observation programme, energy policy, innovation, industrial, trade and standards policy. Holder of a doctoral degree in economic and social sciences. Safety and Flight Operations Director for Europe, IATA. Responsible for the delivery of IATA Safety and Flight Operations trategy in Europe and for the liaison with European Regulators. Captain – 31 years of experience in the Air Forces and Airline industry. Holder of a Master Science Degree in ATM. Accident Investigator, IATA and ISO Quality and Safety Auditor. Visiting professor in Airline Regulatory Compliance at London City University and in Safety Management at Geneva University. 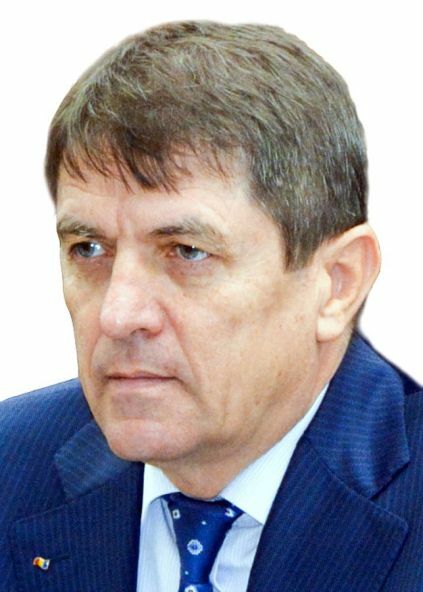 Deputy Director General of ROMATSA, responsible for coordination of the day-to-day activities in the field of operations, echnical, development and those regarding the implementation of the DANUBE FAB. Formerly a Head of the Romanian Air Forces and Romania representative at NATO’s Supreme Headquarters Allied Powers Europe. Experienced in European air traffic management and civil-military cooperation, having served as vice chairperson and Chairperson at EUROCONTROL’s Military ATM Board (2007-2010). Leads the Core Systems Planning Unit at PANSA. Involved in many projects implementing primary and supporting systems for Air Traffic Controllers and operational personnel, including PEGASUS_21, PANDORA, CPDLC and PANSA iTEC Test and Validation Platform. 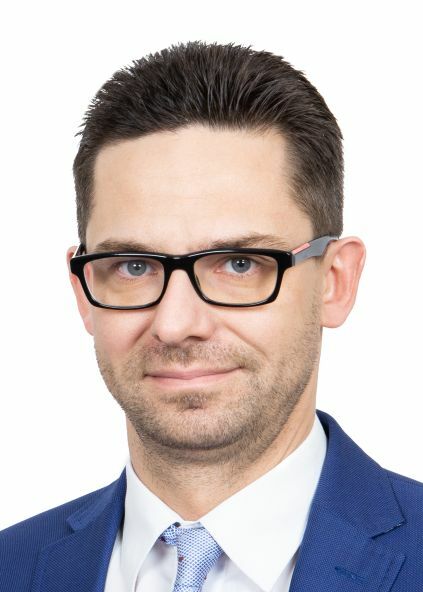 Plenipotentiary of the Ministry of Infrastructure, responsible for all UAV and U-space implementation matters and for the Central European Drone Demonstrator Programme in Poland. 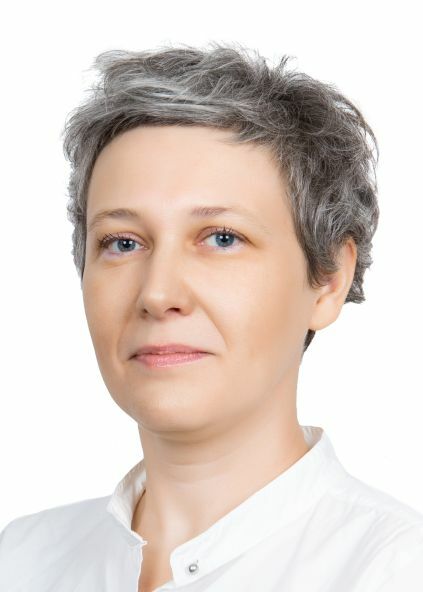 Prior to those positions she worked for the Ministry of Development and the Polish Development Fund, shaping the concept of the drone programme in Poland. 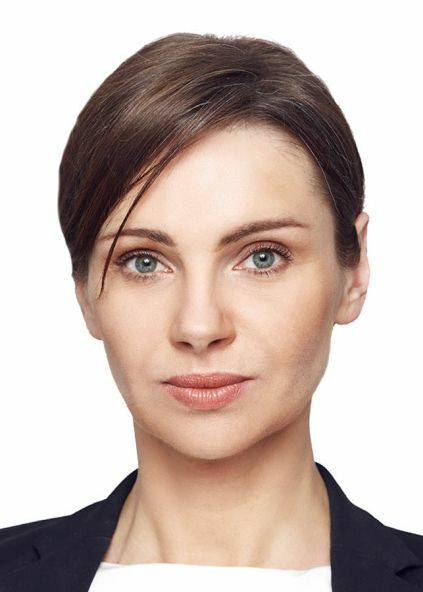 Lawyer and manager with 15+ years of experience in leading Polish and international law companies, specialising in technology and regulatory matters. Leads the Operations Planning Bureau. Over 10 years of experience in airspace management, i.a. beeing involved in the operational implementation of Advanced Flexible Use of Airspace Concept (AFUA) in Poland. Leader in many projects related to airspace planning and designing (i.a. implementation of the vertical split of the ACC sectors, POLFRA etc.). Expert in many orking groups and projects regarding ASM, both at the PANSA and international level. IT engineer at PANSA. Java developer and certificated RedHat Trainee. Graduated from Warsaw University of Technology; Faculty Air Transportation. Expert with almost 20 years of experience in programming systems related to Air Traffic Management, i.e. : flight plan processing and airspace management systems. Oro Navigacija CEO. Responsible for the overall strategic direction and performance of the company, including cooperation with the Board. Prior to this appointment worked as Deputy Director and Economics Division. His 13-year experience in air navigation field combines critical operational and safety decision making with long term strategic planning and extensive asset management. 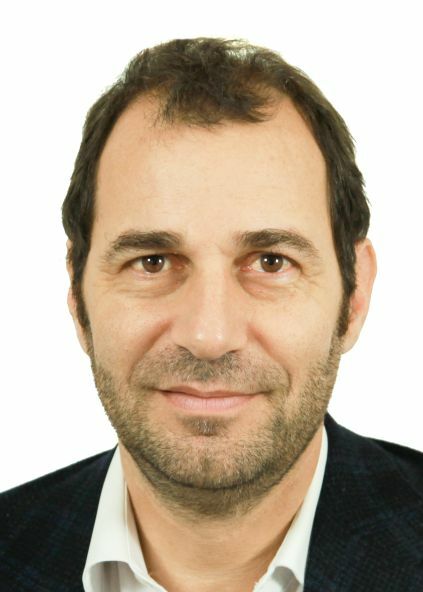 PANSA Acting President, active ATCO. 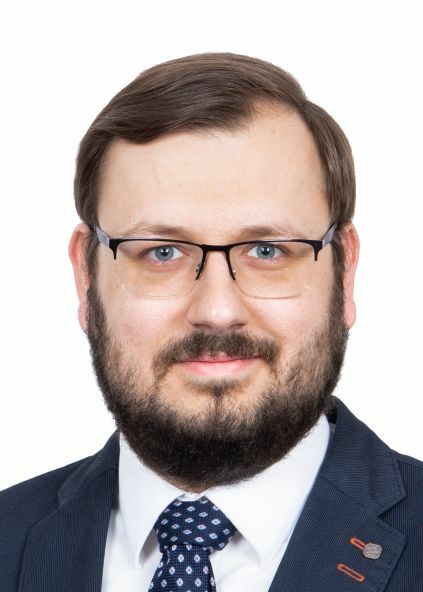 Prior to this appointment worked as an Director for Strategy and International Affairs, responsible for delivering the Agency’s key objectives within SES framework, as well as coordination of PANSA team in the process of successful revision of the cost-efficiency target for Poland in the Performance Plan of the Baltic FAB for 2015-2019. In March 2018 appointed as Member of the Advisory Committee for the Central Transport Hub in Poland. 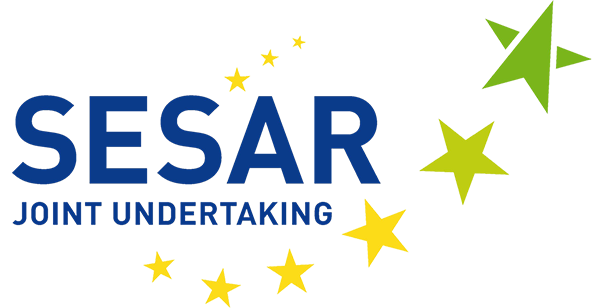 SESAR 2020 contribution manager for the University of Warsaw. Experienced in working with numerical weather prediction odels, as well as aircraft originating data (both operational and scientific). 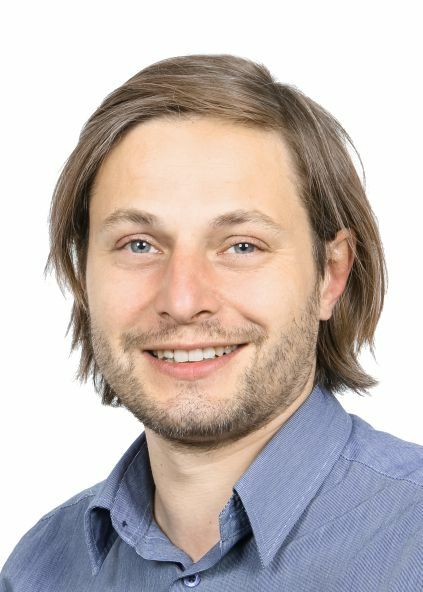 His expertise includes both conducting and leading research related to weather role and impact in ATM, developing novel solutions based on existing ATM data and cooperation ith various ATM stakeholders in R&D. Creator of the unique system for presenting complex aeronautical information to amateurs, professionals and law enforcement ervices, including all aeronautical data. Author of: ANSP’s “two way non-verbal” communication system, “Out-ofthe-zone-ALARM” solution for UAV operations (tracker based), “altitude and height reference system” for UAV. Founder of ultidimensional drone registration system dedicated to CAA as a foundation for Public Safety solutions in U-Space. Creator of a marketing program promoting safe flying of unmanned aerial vehicles. UTM Project Manager and UAV Tracking Project Manager at PANSA, responsible for enabling U-space concept and deployment of PANSA UTM. He cooperates with international aviation organizations and agencies on drones issues. Member of the A6 U-Space Task Force. 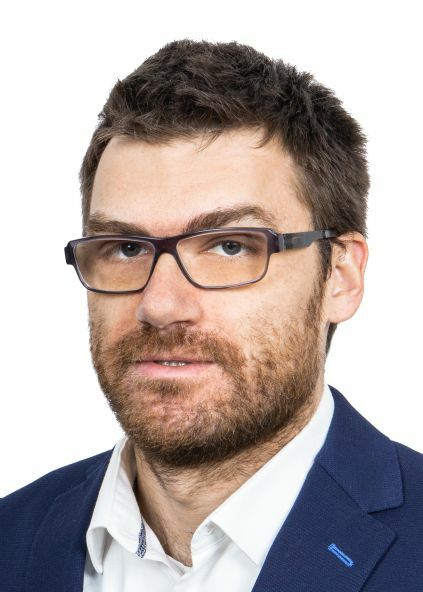 He actively contributes European Network of EU Demonstrators on behalf of PANSA and Central European Drone Demonstrator. Multi-awarded Polish pilot, multiple gold and silver medallist in the FAI World Glider Aerobatic Championships, multiple world champion in teams and individual European champion. For many years captain at PLL LOT. Currently the President of the Aeroklub Polski and Polish FAI Aerobatic Commission delegate. Chairman of the CIVA Glider Aerobatics Sub-Committee. A glider aerobatics trainer and an accredited judge in international glider and power aerobatic championships. Leading programmer of Common Airspace Tool (CAT). 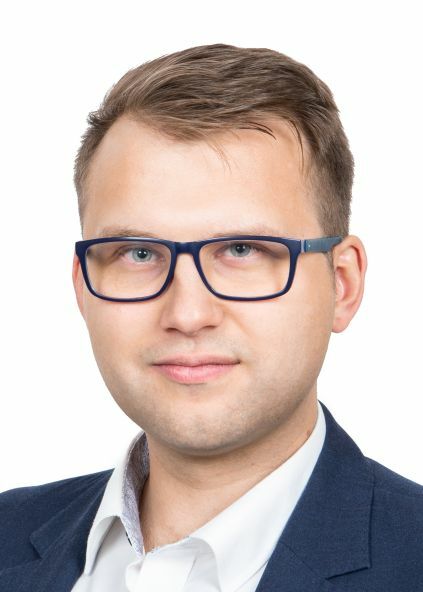 Graduate of Air Traffic Transportation at Warsaw University of echnology, has been working in Polish ATM ever since, first at Polish Airports State Enterprise and since 2007 at Polish Air Navigation Services Agency. Almost 20 years of experience in creating Air Traffic Management related systems, including flight plan processing and airspace management. Leads the innovation department at PANSA. Has variety of expertise in managing large scale projects within aviation, focused on optimization of available infrastructure, safety standards and efficiency. 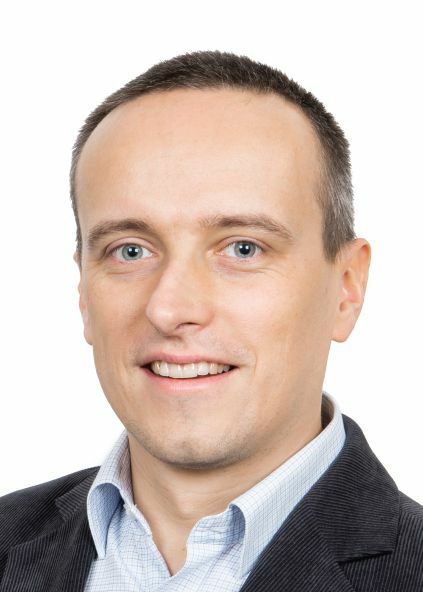 Jarosław lead or took part in many national and international projects. He was leading consultant for operational excellence and business transformation and efficiency for airports, ANSPs and handling. Airspace management operating expert. Instructor at the tactical level of airspace management, graduated in Aviation Management, Aviation Law, Management Analyst. Participated in many implementation projects for ASM services. Author of articles on civ-mil coordination of ATM. Co-founder of many technical and operational solutions used in the Airspace Management Unit in PANSA. Works at the UAV Operations Department in PANSA. 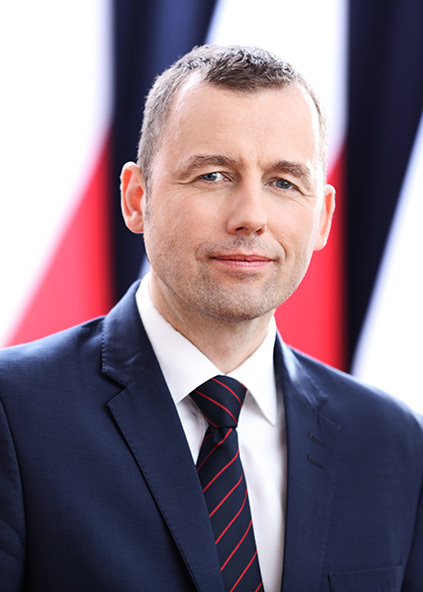 Responsible for development of UAV flight procedures within Polish airspace and integration of manned and unmanned traffic. Participates in working groups involved in development of PANSA UTM, Polish U-space and the collaboration between PANSA and law enforcement agencies. His merges his interest in UAV technology with everyday duties. Executive Vice President and Chief Operations Officer. In WizzAir since 2013. Responsible for ground and flight operations, echnical services and operations control organizations, safety and security. 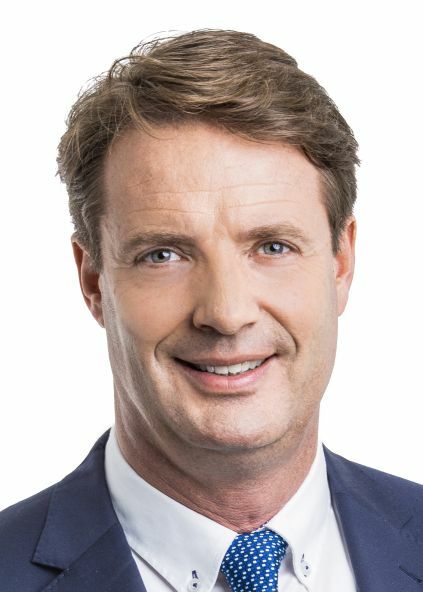 Formerly the CEO and COO of Martinair Holland. Previously worked for Virgin Blue Airlines and Brisbane Airport Corporation in Australia, as well as Amsterdam’s Schiphol Airport. Holder of a master’s degree in business economics at the University of Amsterdam. Member of Common Airspace Tool (CAT) system development programme. Head of ATM Operators team – ACC flight data. Extensive ATM experience in various projects on both local and international level. 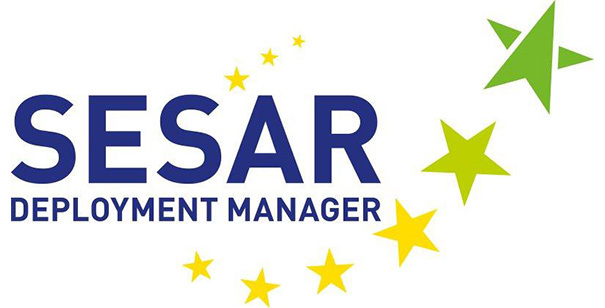 PANSA representative within SESAR2020 innovation projects and within SESAR Deployment Manager implementation projects. Project manager for R&D projects related o ATCO supporting tools and systems. Software engineer at PANSA. Currently developing CAT system. MSc in Electronics and Telecommunications. Passionate about automation development and delivery software processes. Experimenting with new technologies and techniques to improve software. Likes to understand the bigger picture of how systems work and integrate. 12-year experience in the Airspace Management and related operational roles, both on pre-tactical and tactical levels. Participated in projects for airspace, especially development of IT system supporting the airspace management. 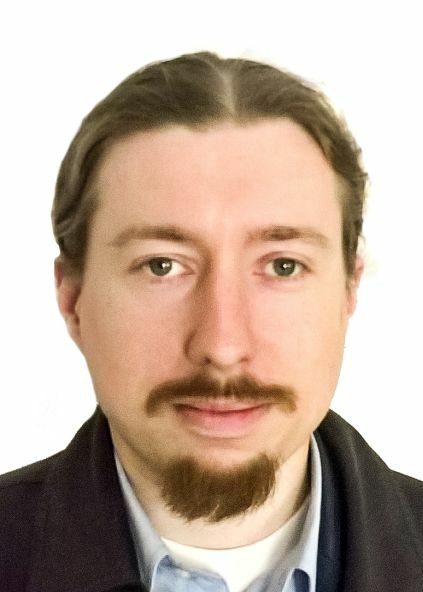 Member of the group of experts who developed the CAT2.0. Responsible for requirements, usability testing and new functionalities supporting SESAR solutions. Currently works on UX design. 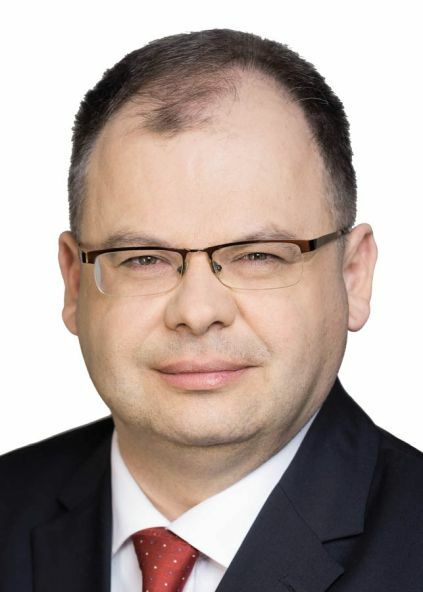 President of the Polish CAA and member of the Management Board of EASA. Graduate of Warsaw University of Technology. 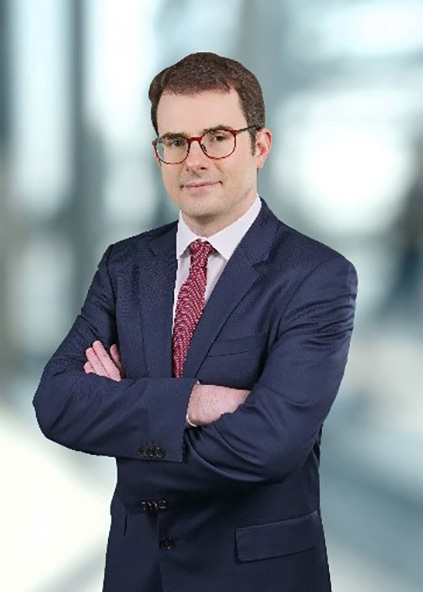 He completed the MBA at Cranfield University and studies in Business Department of Galway University. 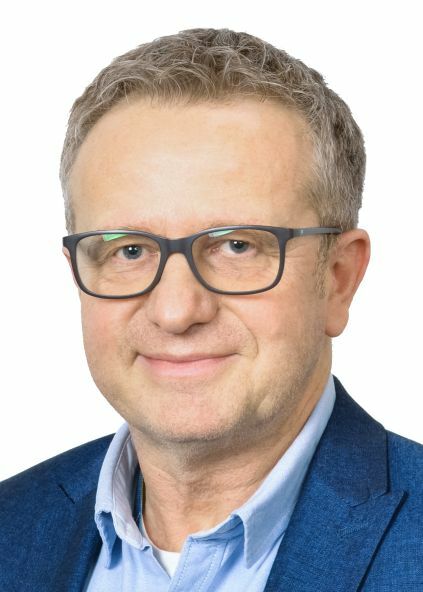 In 1993 he began his work at LOT Polish Airlines. He contributed to the establishment of two airlines in Poland. 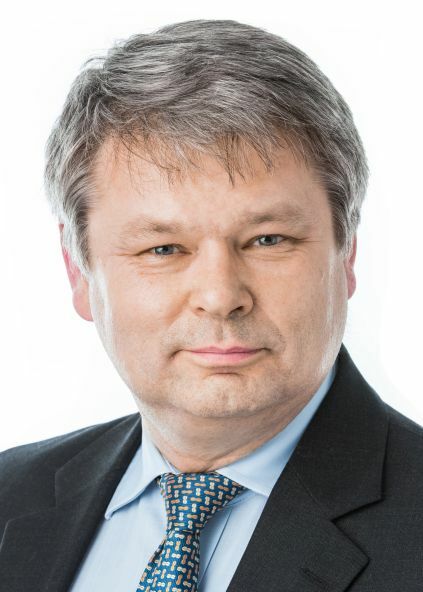 President of the Permanent Commission of EUROCONTROL in 2017, currently the Chairman of the PAR AG of EASA and Vice President of EUROCONTROL’s Provisional Council. Mike will chair the debate. 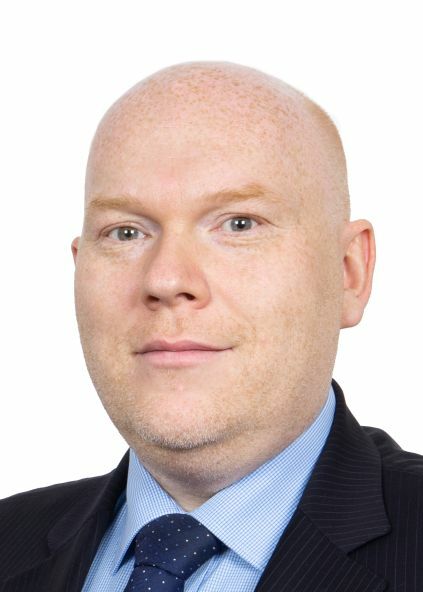 He is a highly respected adviser to the aviation industry and its investors. 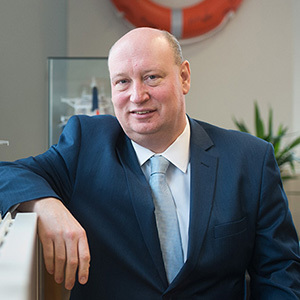 Early in his career, Mike developed a technical specialism in design, standardisation and implementation of aviation technology and surveillance systems. Since then his work has spanned a wide range of aviation issues, including business advice on the planning and execution of large air traffic control projects, organisational change and cost benefit analysis. Involved in R&D airport projects focused on operational safety and efficiency. Manages the SESAR2020 internal / external communications within PANSA and the B4 Consortium, which includes brand dissemination, quality management and coordination with the SJU Communications Coordination Group. Chief UTM / U-Space Specialist at PANSA. 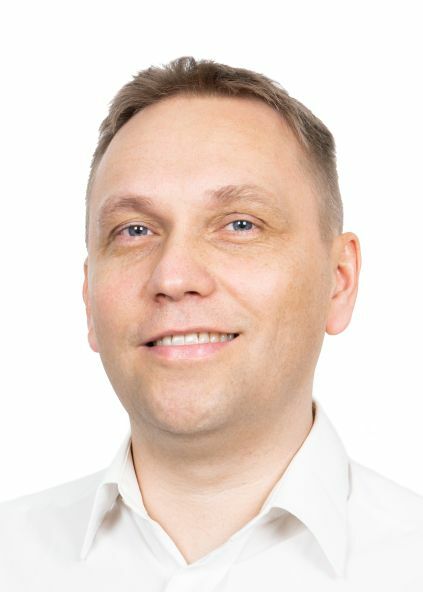 Manager of PANSA U-Space Programme responsible for all PANSA’s strategical UAV initiatives, among others the Polish U-Space Concept and UTM/DTM development at PANSA. Supports the work of UAV Operations Department at PANSA. Experienced in the field of strategical airspace management which is invaluable in numerous PANSA projects and national working groups. Expert in managing large organizations and optimization of processes. Leader in large projects concerning organizational transformation and change of culture. Interested in change management, human behaviour, organizational culture as well as digital transformation. Certified ITIL Service Manager and ISO20000 expert. He lead numerous project deliveries to the operational ATC environments around the world. Eric ensures implementation of state-of-the art. technology in a future-oriented product roadmap, with a focus on minimum risk and maximum customer benefit. 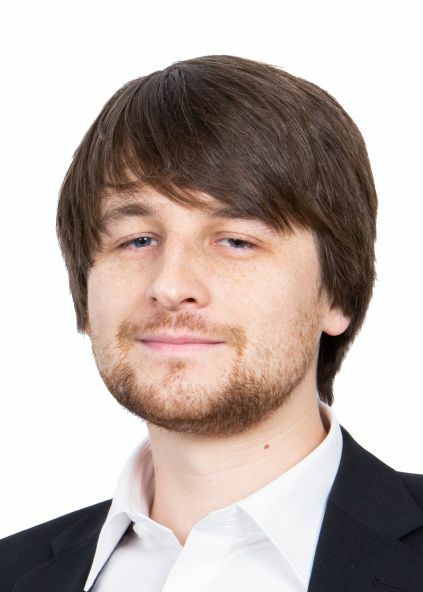 e devoted his passion for digital air traffic management solutions. 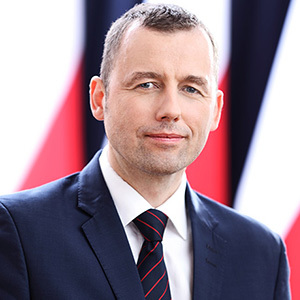 Secretary of State in the Ministry of Infrastructure, Plenipotentiary of the Government for the Central Transport Hub for the Republic of Poland. 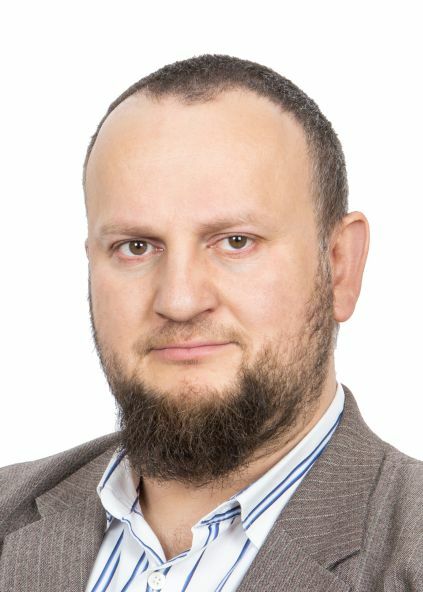 In the years 2003-2006 member of the Team of Jurisprudence and Studies at the Office of the Constitutional Tribunal. 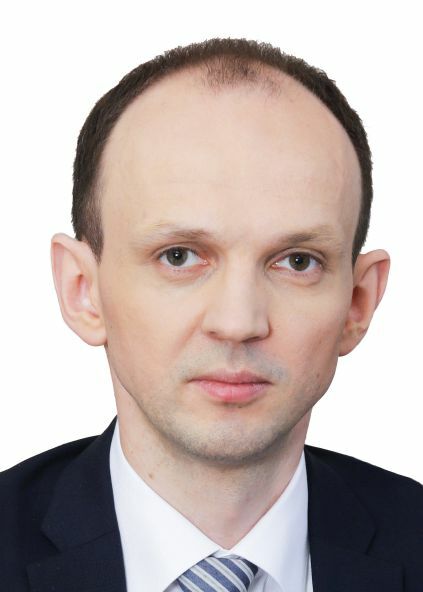 From 2006 he worked for the General Counsel to the Republic of Poland. In the years 2008-2017 an employee of the Institute of Justice, where in the years 2013-2017 he was the Chairman of the Section for Constitutional Law, Civil Law Section and a member of the Scientific Council. In the years 2015-2017 the Deputy Minister of the Treasury, supervising, among others, Legal and Process Department, Property of the Treasury and the Audit and Inspection Office, and exercising personal supervision over the aviation sector companies, including PLL LOT S.A. 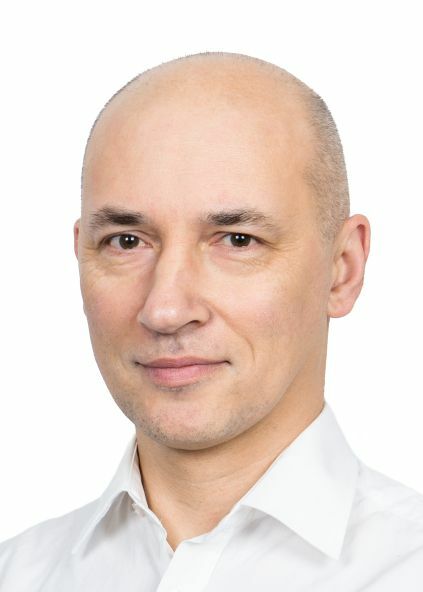 Leads the UAV Operations Department at PANSA, responsible for coordination of UAV flights in Poland, manned / unmanned ircraft integration, development of UAV usage procedures. 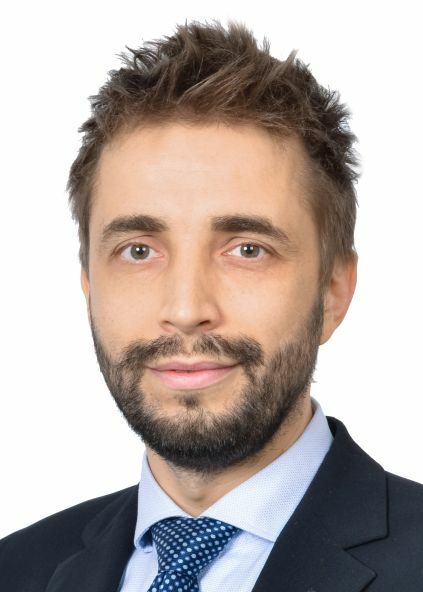 Participates in the operational development of UTM PANSA, shaping the architecture of Polish U-Space, tasks related to development of Central European Drone Demonstrator (CEDD) and numerous national initiatives. Involved in operational implementation of Eurocontrol Advanced Flexible Use of Airspace Concept (AFUA) in Poland. Head of joint civil-military Airspace Management Unit. Participates as an expert or a leader in variety of working groups and projects elated to implementation systems and procedures supporting advanced airspace management, both within PANSA and on the nternational level. Copyright © 2019 AP KODE ALL RIGHTS RESERVED.